Baltimore Prosecutor Marilyn Mosby will no longer prosecute marijuana cases. But Mayor Pugh is still encouraging the police to make marijuana arrests. Marilyn Mosby made the right decision to no longer spend resources jailing people for petty marijuana charges that could ruin people's lives and give them a criminal record. However, Mosby's progressive move is being met with opposition by Baltimore's Police Commissioner Gary Tuggle who said he will not tell his officers to stop making Marijuana arrests. 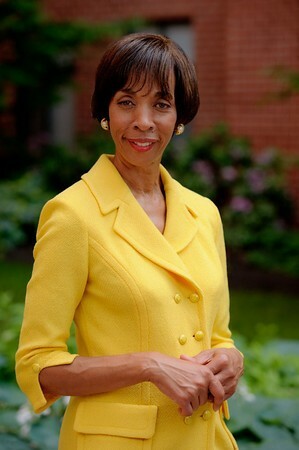 In addition to the notoriously aggressive Baltimore police opposing this progressive reform Baltimore Mayor Catherine Pugh is spewing confusing rhetoric that conflates marijuana with violence. Mayor Pugh, in a statement in response to Mosby's decision said that "we also need to understand that those who distribute illegal substances fuel criminality in our neighborhoods which leads to violence." While the Mayor also said that she is supportive of Mosby's to address the "unnecessary criminalization of those who possess marijuana" we need to make sure that she does everything she can in her position as Mayor to make sure this happens. Demand Baltimore Mayor support Mosby and the people of Baltimore by passing an executive order to de-prioritize marijuana arrests. Conflating marijuana use, and even the selling of it with violence results in dangerous outcomes for Black communities. We are already over policed, we need measures that will defocus the police on our communities. We need the Mayor to provide transformative directives to address other than local law enforcement who are often the cause of much of the violence that our community experiences. In her announcement to no longer prosecute marijuana cases Mosby stated that "jailing people for marijuana possession is a vast and ongoing moral failure". She is right in this statement and yet, the police still want to arrest people for marijuana possession. While the police can still make these arrests Mosby has the power to stop prosecuting Marijuana cases. The Baltimore police, in continued opposition to Mosby since her indictment of the officers who killed Freddie Gray in 2015 will fight her on this and continue to arrest Black people on the pettiest of charges- weed. Even a brief amount of time in jail, while waiting for trial, can cause serious damage to people's lives. It takes them away from work, school and their family. However, Mayor Pugh has the power to stop the police from making these arrests and she can play a role in shifting the public's understanding of this issue. Black people have been hit hardest by the war on drugs especially in cities like Baltimore where thousands of people, most of them Black, are currently jailed on marijuana convictions. Baltimore needs to be unified and the Mayor has the power to force the police to stop prioritizing these arrests. Mayor Pugh must pass an executive order demanding the de-prioritization of marijuana arrests immediately. Will you sign the petition? We urge you to immediately pass an executive order to de-prioritize marijuana arrests and citations. Prosecutor Marilyn Mosby has made the right decision to no longer prosecute marijuana cases now the police must stop administering citations and arresting people for marijuana possession, an act that is no longer worthy of prosecution in Baltimore. There are currently thousands of people locked up for marijuana possession. Not only do they deserve to be free but no one should be arrested and prosecuted for marijuana possession. Mayor Pugh, we need you to support the people of Baltimore and pass an executive order to de-prioritize marijuana arrests immediately.